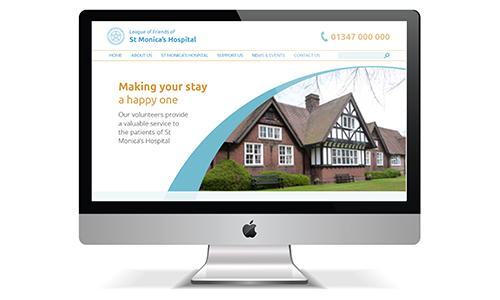 The website aims to to provide you with information about the Friends of St Monica’s Hospital, Easingwold and the services that we provide. We hope you can find all of the information that you are looking for, but if you can’t please don’t hesitate to contact us, we’d love to hear from you. Our website was designed by Puro Design in Easingwold, York.